This year marks the 45th anniversary of the Canon calculator. 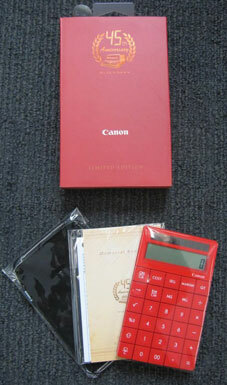 To celebrate Canon has made 45 limited edition red solar powered calculators of which I have 2 to give. One to Sean who blogs about finance, banking and data visualisation and is writing a guest finance/money article to be published soon and another to Andrew at Aussietaxtime who recently wrote about Gift Tax. 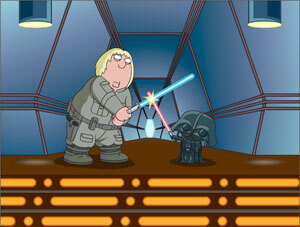 Family Guy: Something, Something, Something, Dark Side (DVD Boxset) – for Kate who’s writing a guest article about which futuristic/science-fiction TV series have the best story arc’s, plots and universes. Friday Night Lights (Bluray movie), Pitch Black: The Chronicles of Riddick (Bluray movie), Duplicity (Bluray movie) and The International (Bluray movie) for Wolfcat who’s going to write some guest movie reviews in 2010. Enjoying those DVDs very much, thanks Neerav. Looking forward to writing another review article for you. Pleased to see the PlayTV review resonated with your readers. It really is a teriffic product. Nice calculator –but is Cannon trying to capitalize on the whole red Swingline stapler bit?